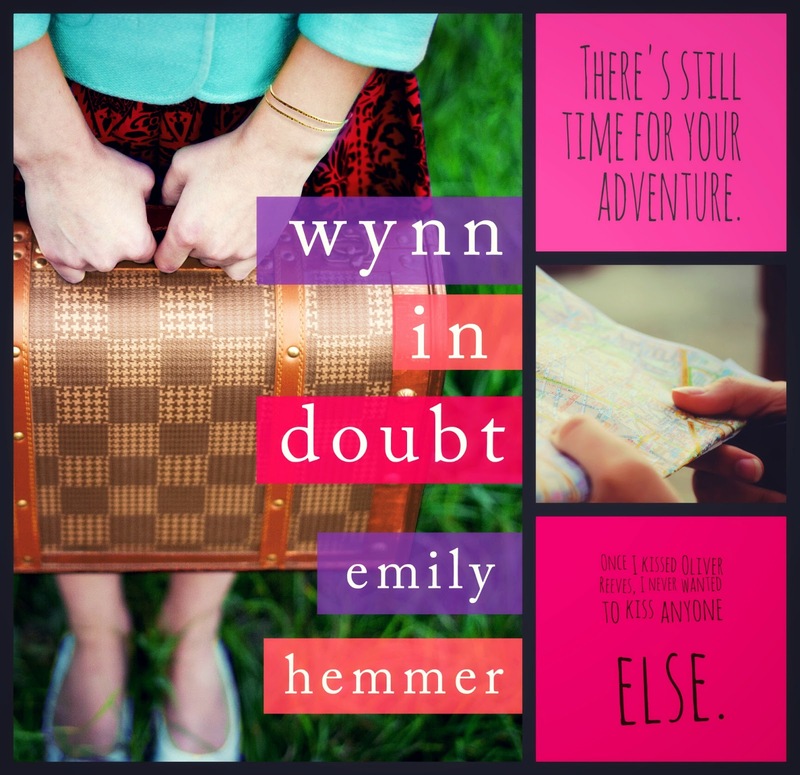 Wynn Jeffries has wanderlust. Unfortunately, her life stalled somewhere between graduating college and slinging drinks at the local dive bar. Stuck in a one-room apartment with no career, no boyfriend, no…life, she dreams of something more. Something amazing. Something like Oliver Reeves, her high school crush, who’s back in town and reminding Wynn of the way she used to be. When a forgotten news clipping falls out of a book belonging to Wynn’s grandmother, a well-kept family secret is finally revealed. Is Wynn’s gypsy spirit the result of an overactive imagination or did she inherit it from a woman so determined to live a big life, she gave up everything to have it? Together, Wynn and Oliver attempt to put together the missing pieces of her family’s past and unravel the mystery behind her great-grandmother’s disappearance. 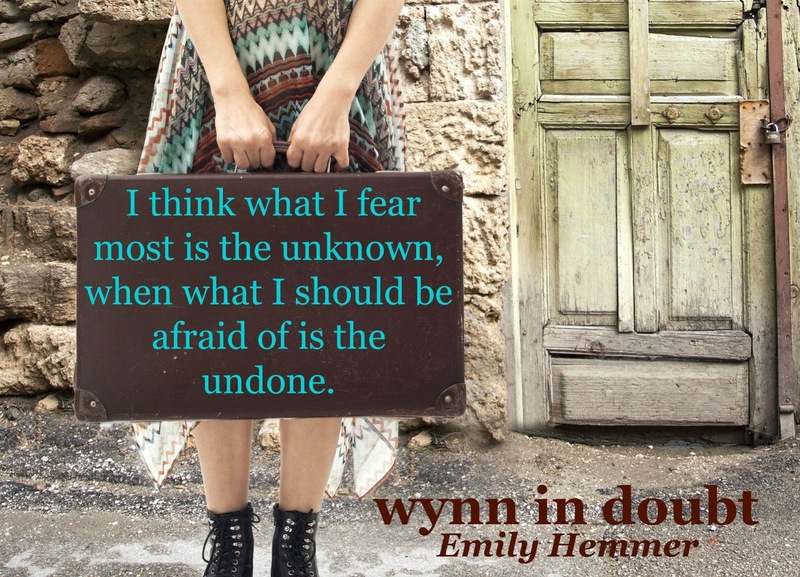 But after so much time succumbing to fear and regret, can Wynn ditch her safe, routine life for the chance at an extraordinary future? I lick my lips and draw a heavy breath through my nose. A bead of sweat clings to his temple, and I wipe it away, then run my fingers through his hair. His mouth is open, his breathing shallow. He moves one arm out from under me, and his fingertips trail from my shoulder down to the back of my hand. I move mine from his cheek to the coarse stubble of his jaw. Oliver Reeves is going to kiss me again, this time on a summer afternoon, and I wonder how life will ever be the same. I trace his lips with my thumb. They’re full and soft. We meet in the air between, his lips fitting around mine in a light, sweet kiss. I hold his head close. His lips move in lazy indulgence, unhurried in their pursuit to pluck every drop of pleasure from mine. I open my mouth a fraction and run the tip of my tongue across his bottom lip. I don’t know what possesses me to do it. I don’t know anything right now. Oliver presses me into the grass and dirt and fits his hand around the curve of my hip. He slants his mouth across mine, and I let him taste me. His breathing isn’t shallow anymore. It’s labored and noisy against my cheek. My hand runs down his back. He always looks so calm, so cool, but I can feel the perspiration beneath his shirt. There’s a satisfaction knowing it wasn’t the heat that finally got to him, but me. My lips. My hips and short dress and the bare leg he’s stroking with strong fingers. Our kisses become faster, needier. I hold his face in both hands as he touches every exposed part of me. His fingers skim the cotton over my ribs, and I move against him, desperate for the feel of his hand on my breast. He cups me there, groaning quietly against my mouth. He drags his lips from mine; his forehead drops against my neck. But he doesn’t remove his hand or take his weight from me. I arch back, glimpsing dust in a ray of yellow sunlight behind us. His shoulders move beneath my hands as he breathes in deeply. I bring my eyes back to his and see that they’re full of need. He doesn’t ask, and I don’t say a word. We stand and walk hand in hand, out of the cemetery and back on the gravel path, the one that leads to my car. I reach for the driver’s-side door when we get there, but he pulls me away, back to him, and kisses me slowly. When we part, and the air conditioning is again crisp and cool on our skin, we drive to the hotel in silence. There are no words for this, for what each of us needs. The truth is, our paths parted a long time ago. Now he’s looking behind for something he’s lost, and I’m running ahead, trying to find something I’ve never had. It feels like we’ve collided—run into each other at the place between what could’ve been and what can be. I don’t know how it will affect what we’re each searching for, but I’ve always loved him, and he came back for me. It’s enough for now. Emily Hemmer was raised in the Chicago suburbs before settling in Kansas City in 1996. A huge fan of romantic comedies, Emily was overjoyed to realize her college roommate could recite every word of the movie ‘Clueless,’ until she realized that was the only VHS tape her roommate owned. 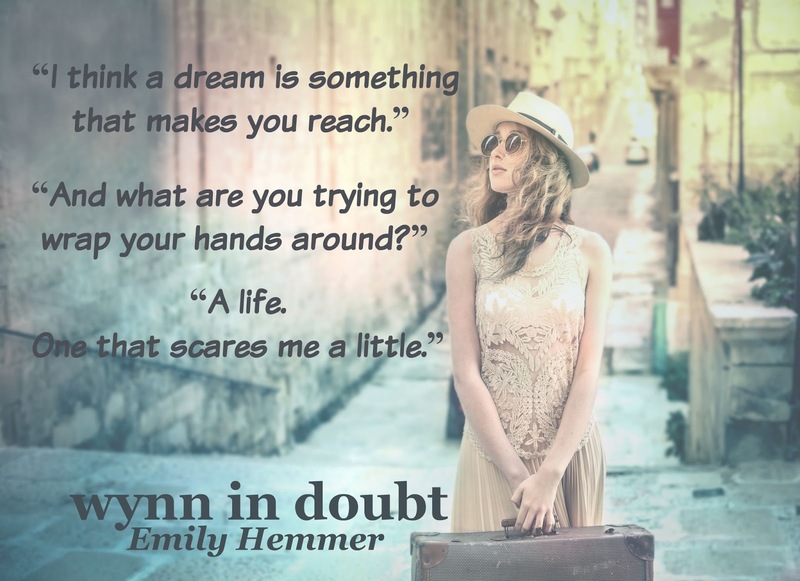 Emily dropped out of college and to this day, blames the listless years of her twenties on the words, “As if!” She completed her degree after an extended eleven-year semester break during which time she got married, had kids, and became a published author. Her greatest accomplishment to date is holding the high score in Ms. PacMan at the Pizza Hut in Schaumburg, Il.